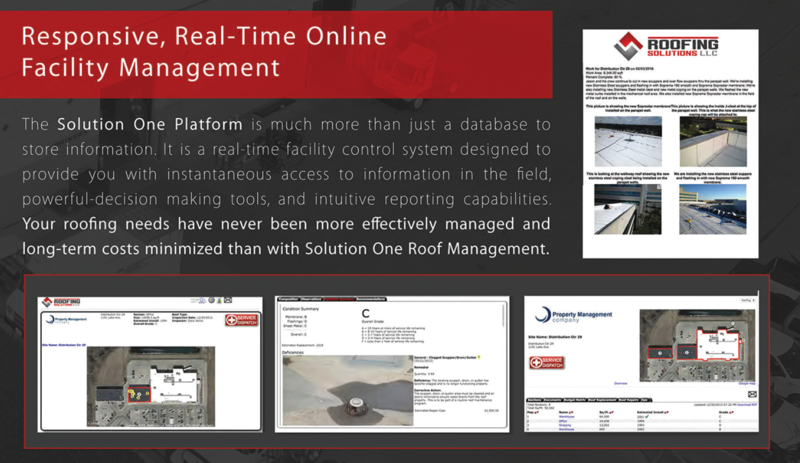 An Industry-Leading Roof Management Program Designed to Maximize the Life of Your Roof Through Scheduled Inspection, Maintenance, and Cleaning. 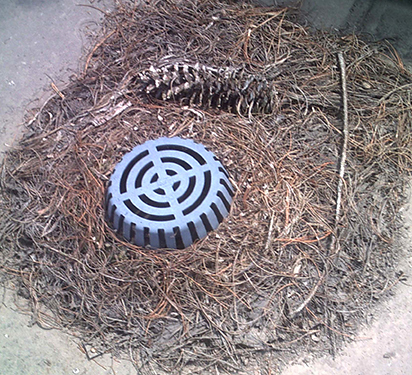 Like roof drains, gutter systems can become blocked by the same types of debris. Clogged gutters that cannot drain properly can back up, creating excessive weight within the gutter. This can cause the gutter straps to bend, break, or worse. With Solution One, we will clean and clear the gutter system every visit as well. Leaves, twigs, and other organic materials can accumulate in areas on the roof -especially up against walls or in corners. 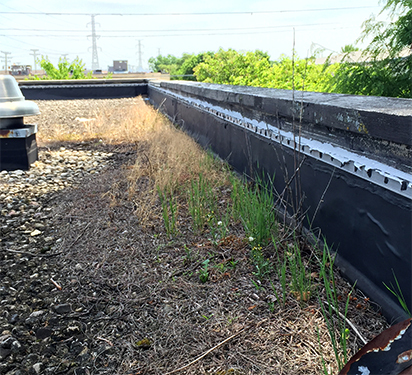 If left alone, this areas can sometimes lead to actual vegetation growing up on the roof! With Solution One, we will clean and clear entire field of the roof during every visit to make sure that never happens. 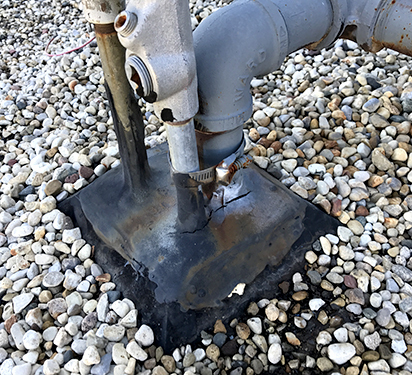 Certain items up on the roof like pitch pans and "soft" joints are considered owner-maintenance items due to the inherent nature of the flashing detail. Items like these need to be regularly inspected, cleaned, and refilled to maintain watertightness. 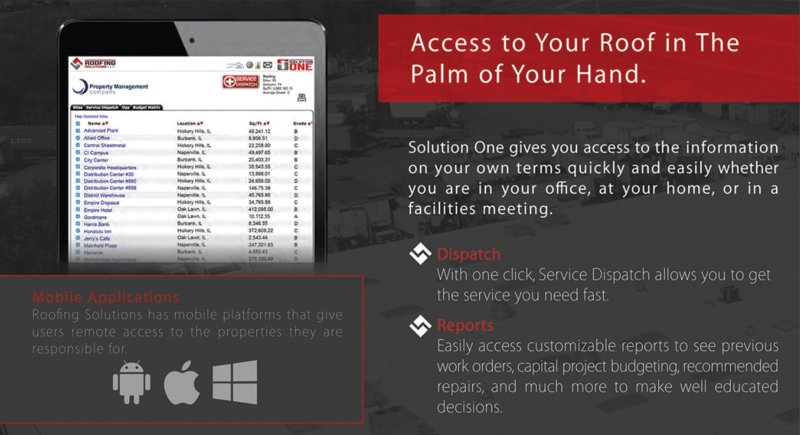 With Solution One, we will address these specialty joints during each visit. 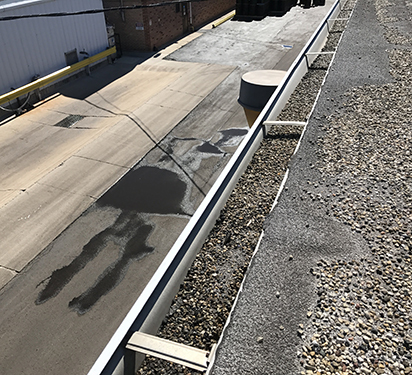 Our service technicians are well-versed and highly-trained in all of the various commercial / industrial flat roofing systems. When additional repairs are necessary or recommended, you can expect only the highest quality workmanship and service every step of the way- all based in best practice and industry standards. 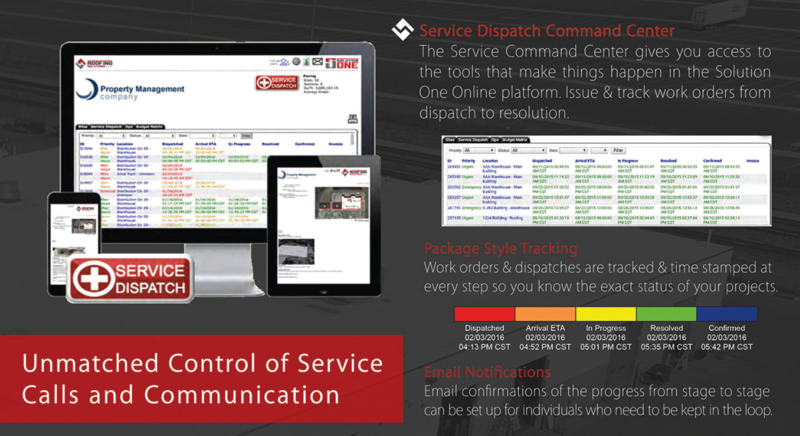 This is what separates Solution One from a standard maintenance program. 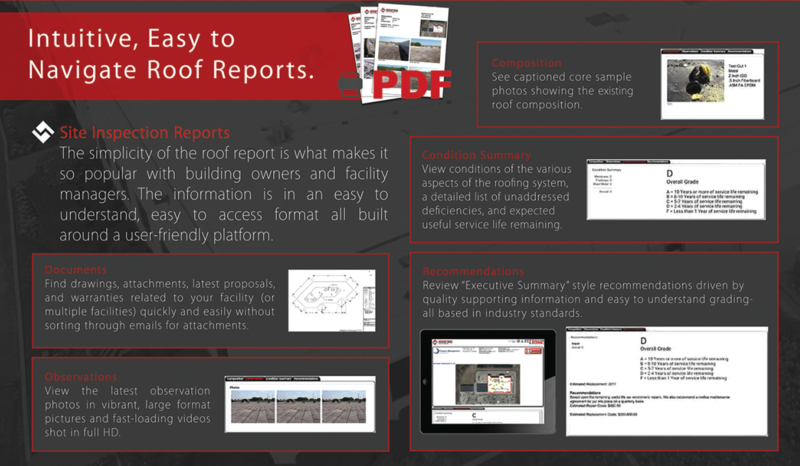 Using our proprietary software, you will have real-time, 24/7 access to your own individual portal containing information about your roof by area with photos, condition grading, executive summaries, budgetary information, reporting, and so much more. 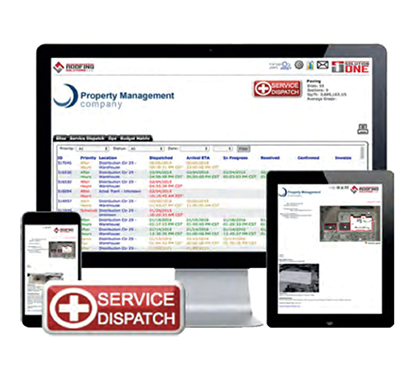 FOR BUILDING OWNERS & PROPERTY MANAGERS LOOKING FOR A ROBUST SYSTEM TO MANAGE THEIR ROOFING EXPENDITURES AND SERVICE NEEDS. WHY SHOULD I CARE ABOUT ROOF MAINTENANCE? 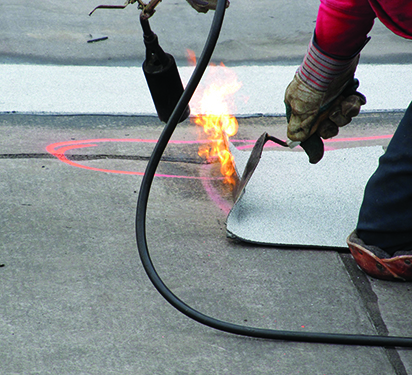 Proactive Roof Maintenance has been proven to add years of life to existing roofing systems. Staying ahead of potential issues keeps costs down over time. All Manufacturer Guarantees require regular, documented maintenance to remain in full effect. In the words of Benjamin Franklin, "An ounce of prevention is worth a pound of cure." For a free estimate or for more information with no obligation, please reach out to us using the form below. We will get back to you with 24 hours.